Lyle painted the "feather flames" by hand, using a technique similar to the one he uses to produce his realistic-looking woodgrain effects. 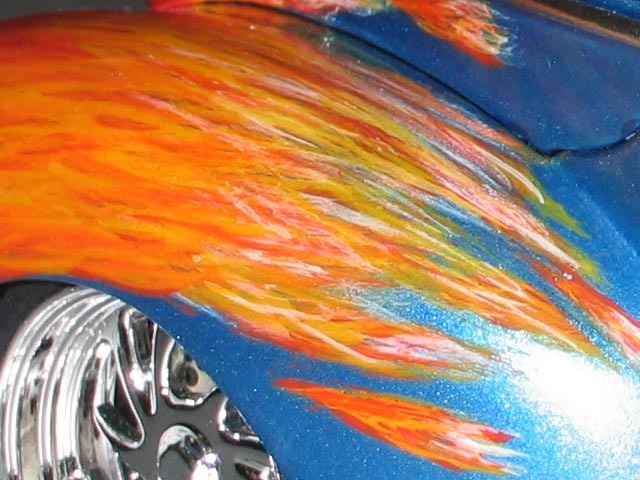 Using just orange, yellow and white poly-scale paints, Lyle laid the flames over a Duplicolor Medium blue metallic base paint. He topped everything off with several coats of polished Duplicolor Clear.